In recent times, stress levels have increased owing to a number of reasons. Amid a chaotic life, Jayanti Goragandhi decides to on go on a journey of entertaining people and relieve them of their stress. While people appreciate his sense of humour and entertaining art, his own family looks down on him and his children are overwhelmingly shameful about their father becoming a clown. Will Jayanti Goragandhi make his own family laugh? Watch the play to find out. 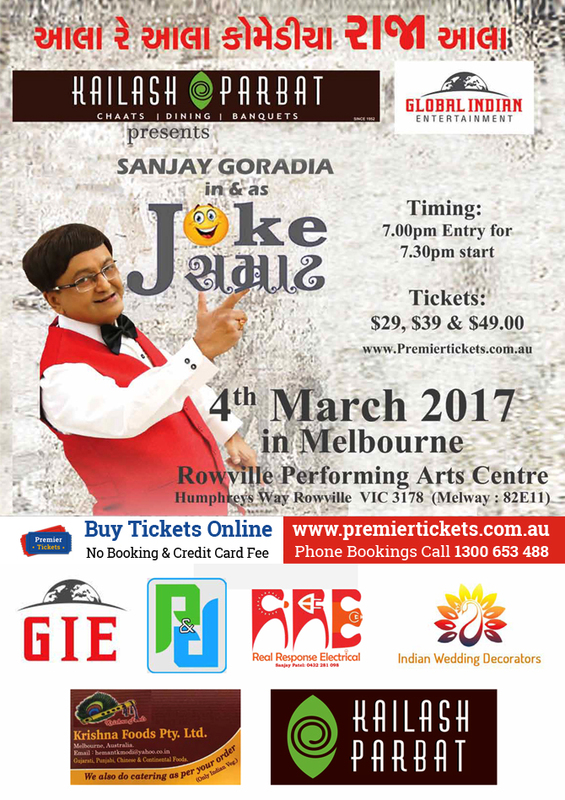 Premier Tickets Australia is proud to be the online ticketing partner for Joke Samrat – Gujarati Play on 4th March 2017 at Rowville Performing Arts Centre. Contact us for any of your ticketing & marketing needs.